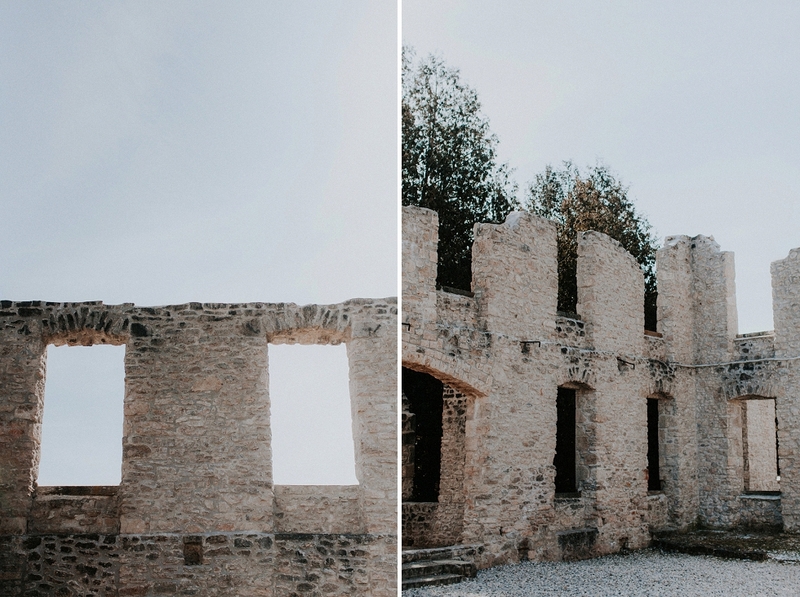 Rockwood Conservation Area was always the cool place nearby to go camping when I was little; yearly, my dad would take my three brothers for a boys weekend, and my mom and I would pop in on the last day and visit them. 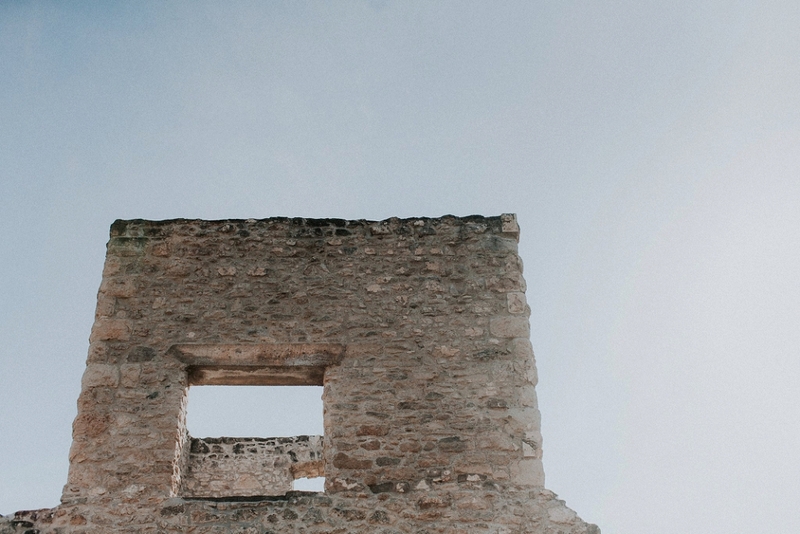 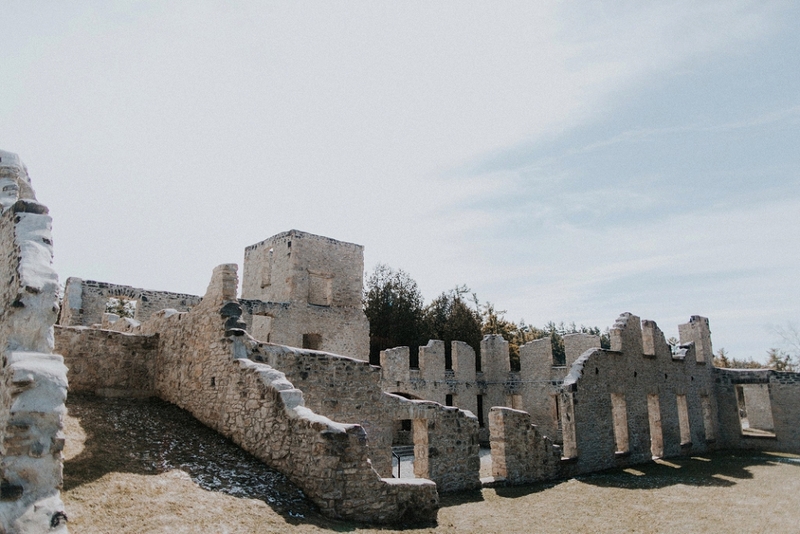 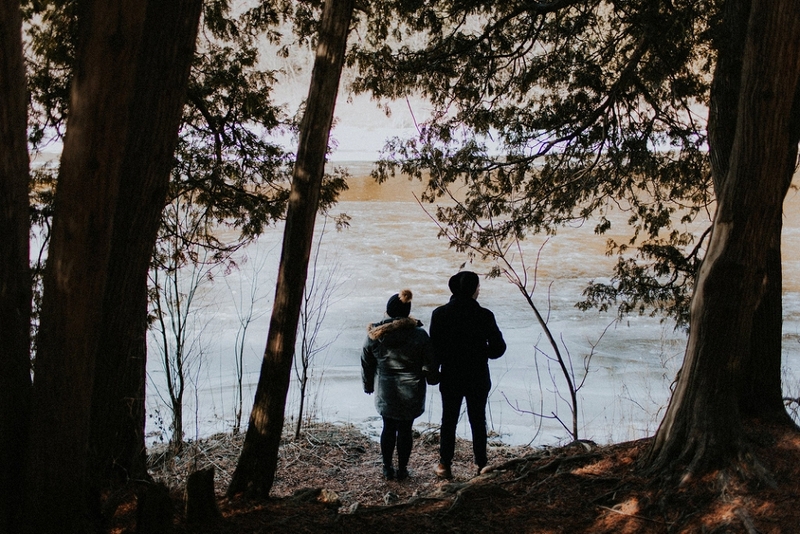 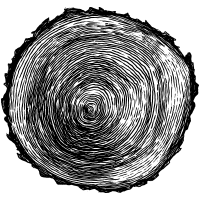 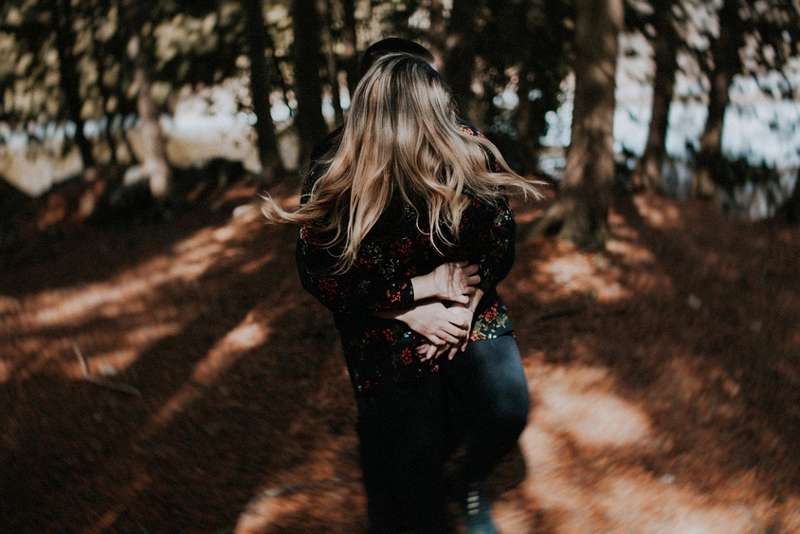 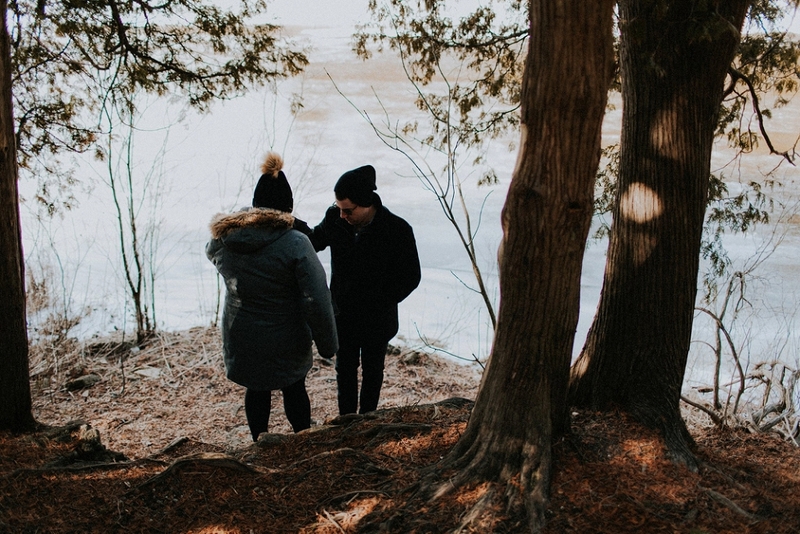 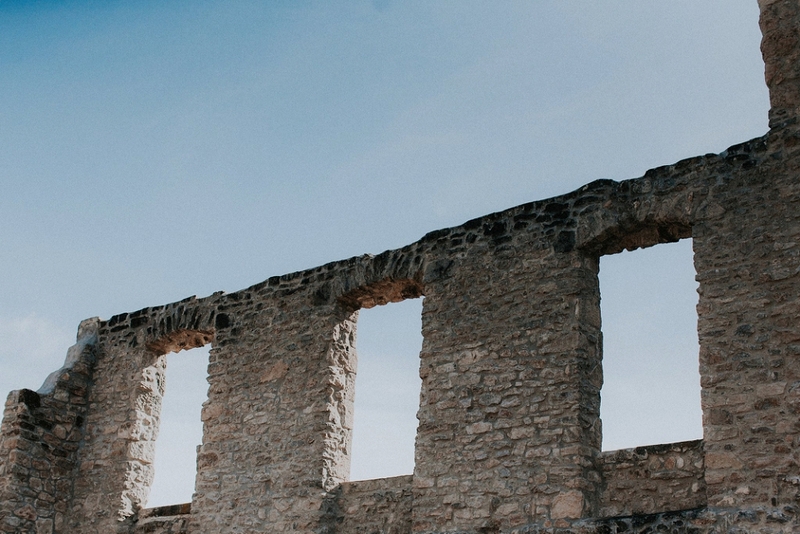 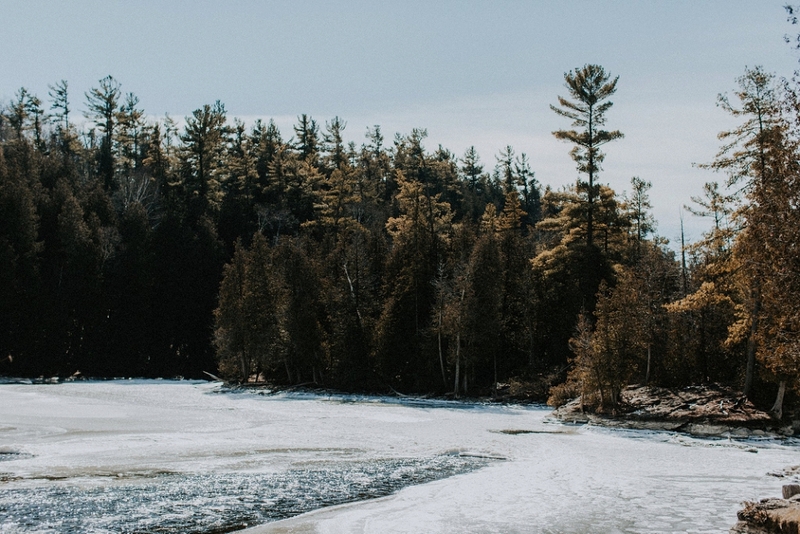 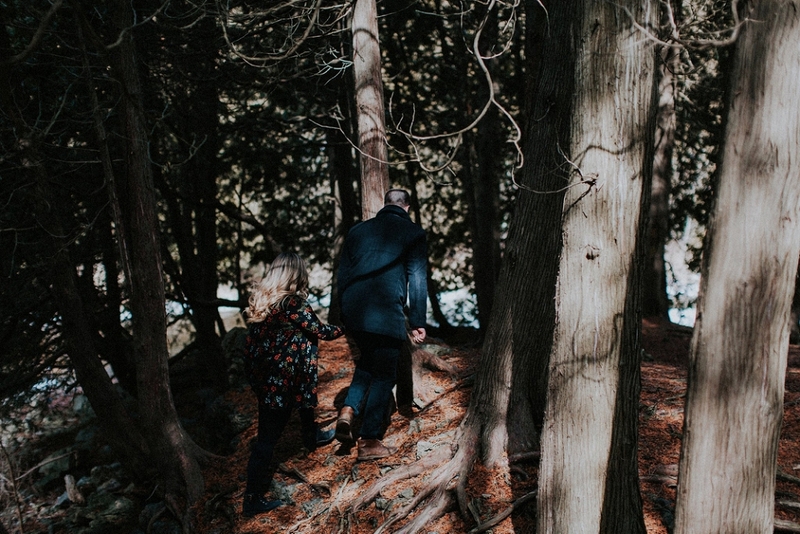 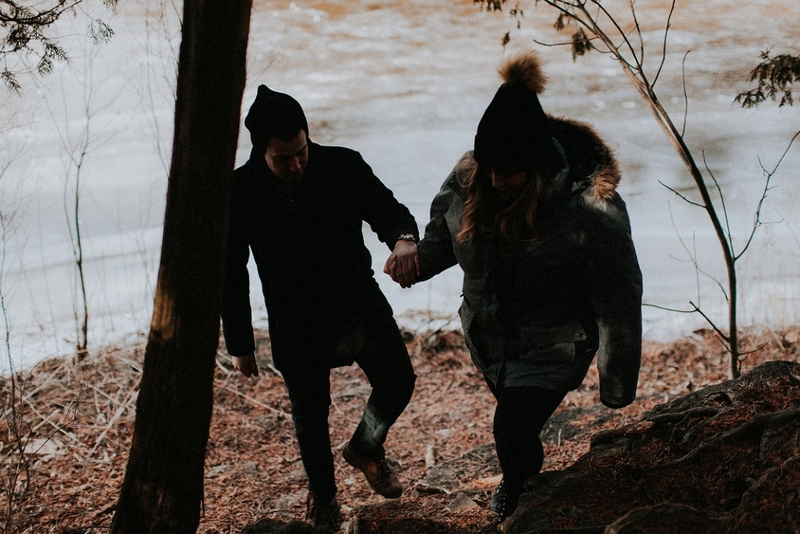 There are sweet rocks to jump off of, old ruins to explore, and a landscape that feels so different from what we have in Waterloo Region, all with being only a short 40 minute drive away. 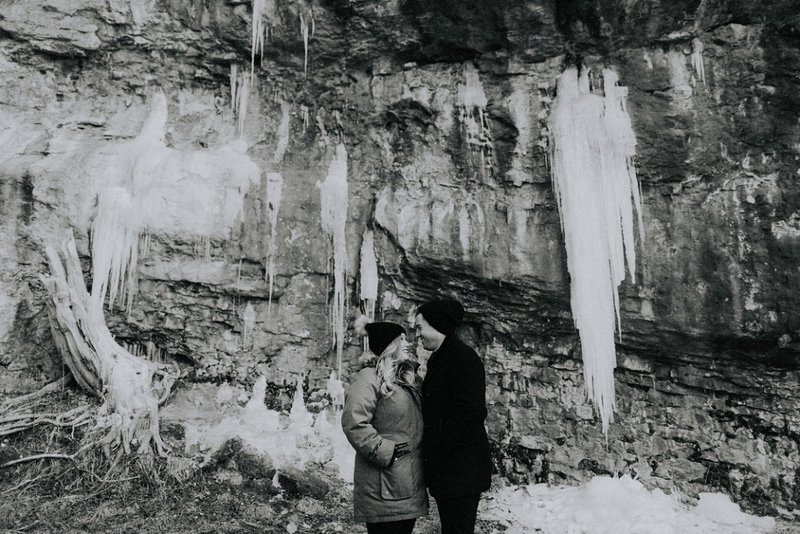 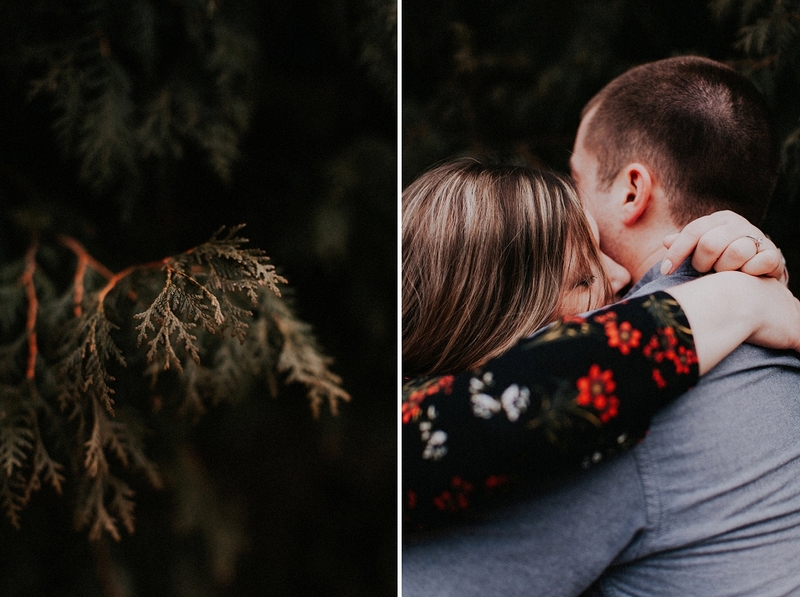 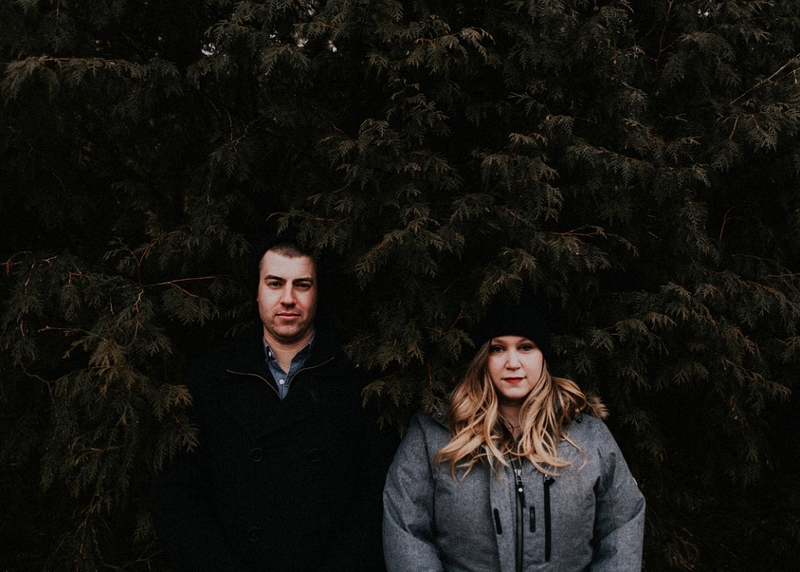 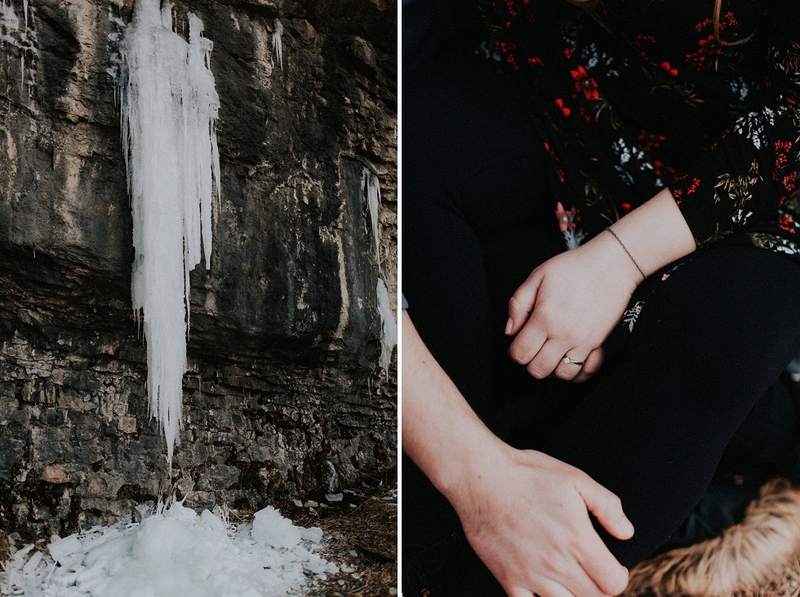 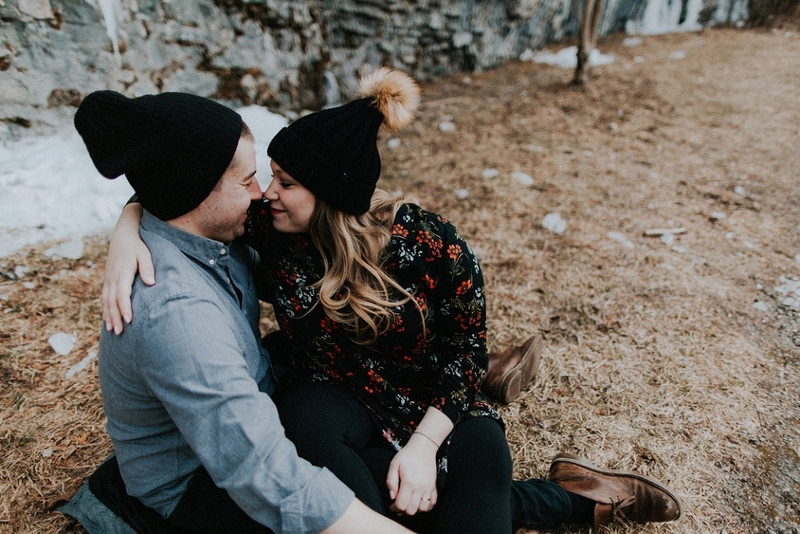 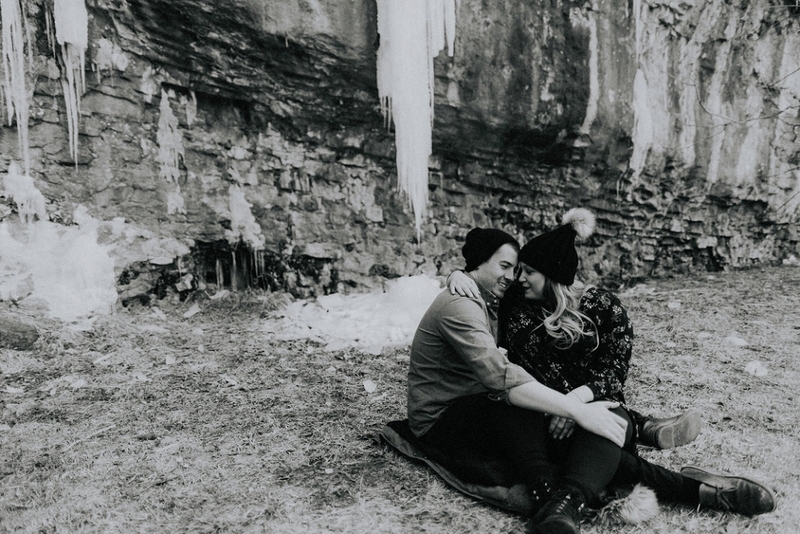 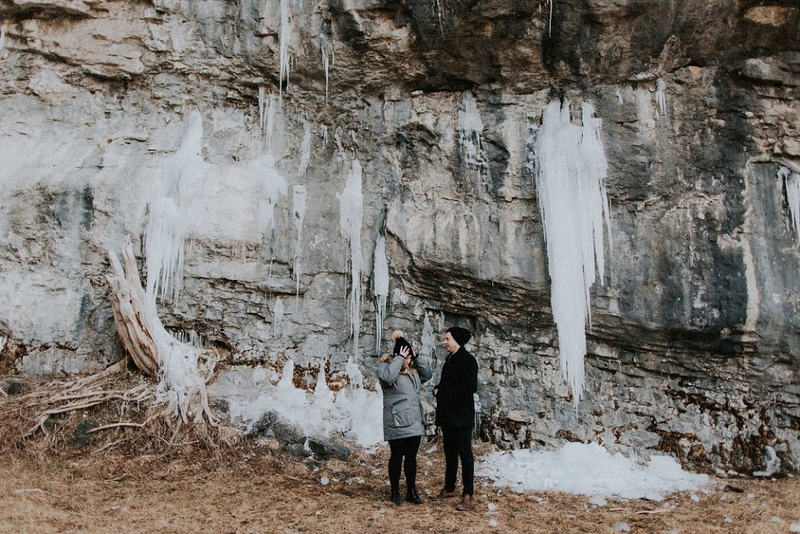 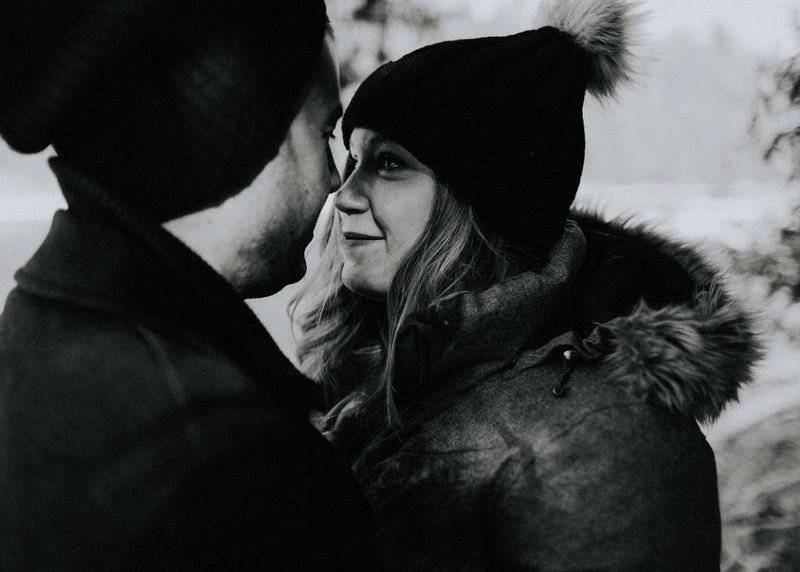 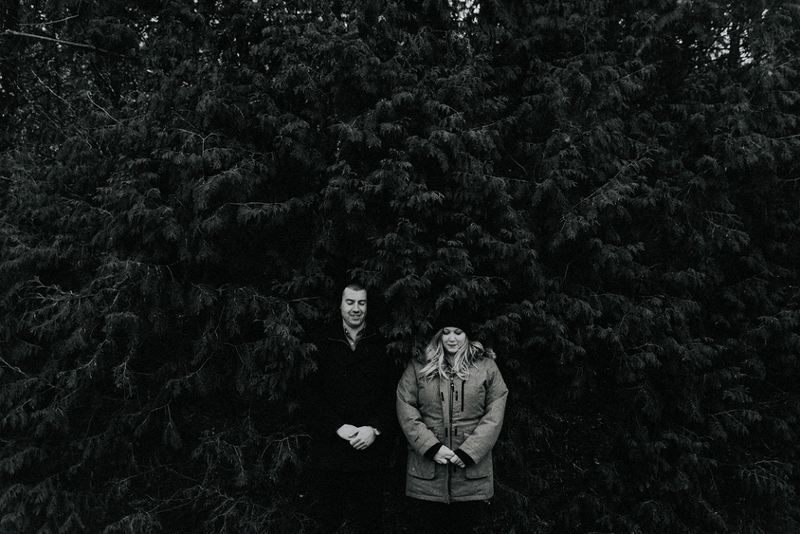 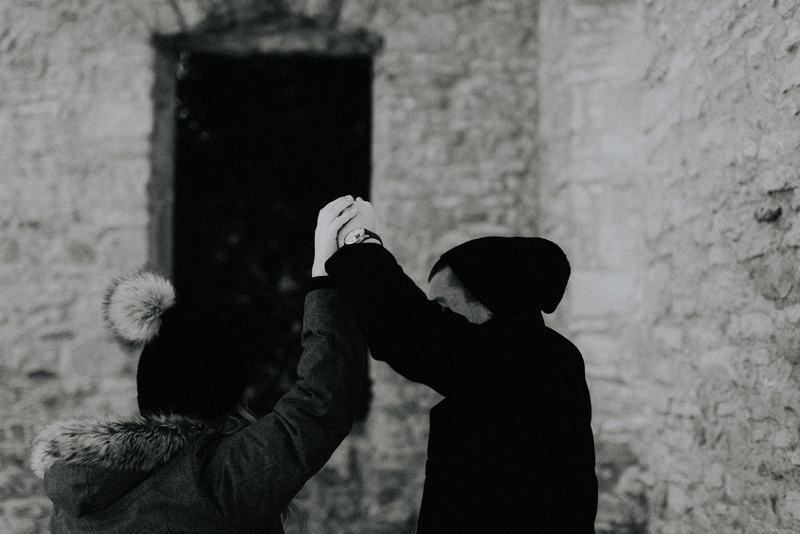 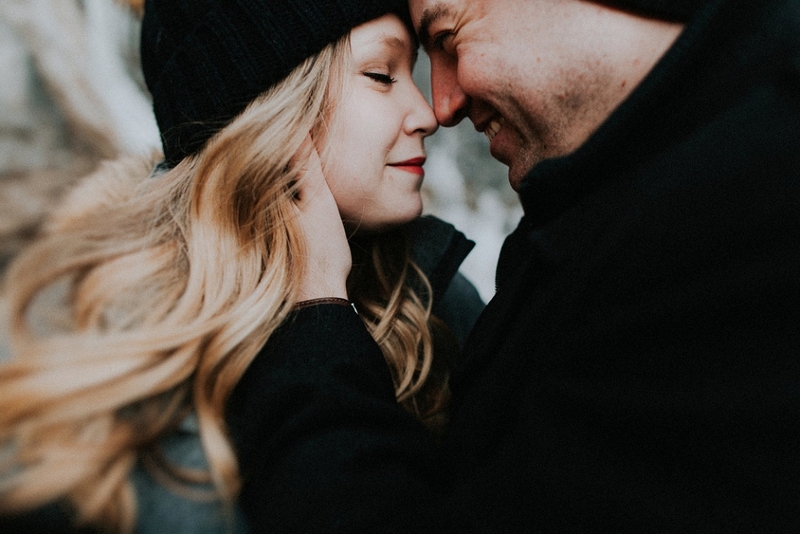 Julia + Matt wanted to have engagement photos that were “aggressively winter”, and while we lost that opportunity the week of the shoot (too much beautiful sunshine = not a lot of snow), we did manage to leverage their hilarious vibes and get some candid life photos that I just adore. 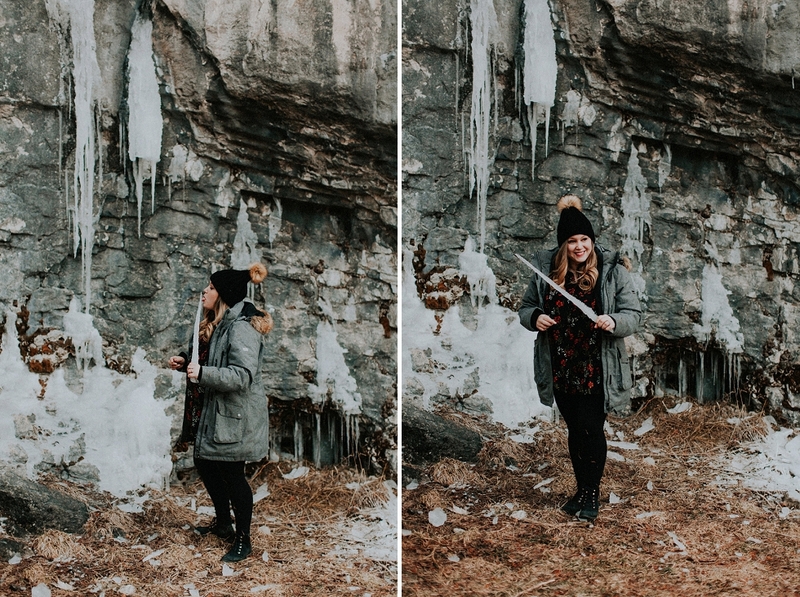 Rockwood is such a huge space, we really only got to explore a small part of what it had to offer. 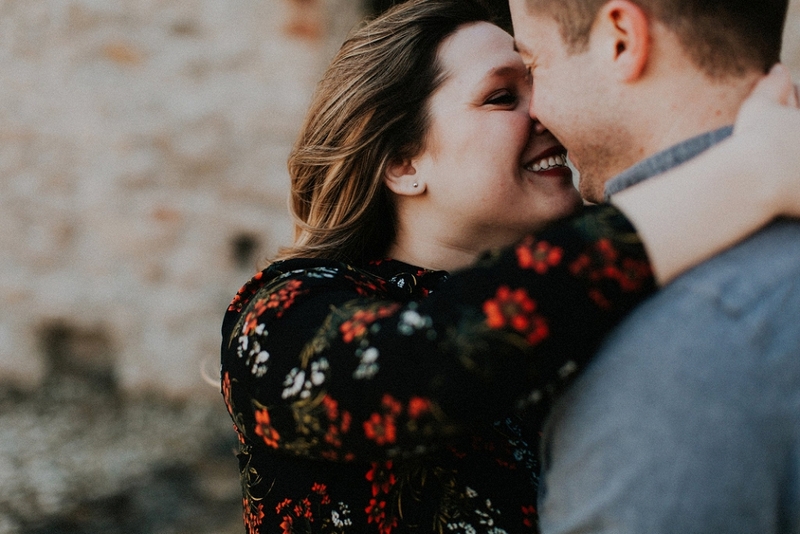 In our hour and half together, I feel like I really got to know this pair and started to understand how they interact with and love each other. 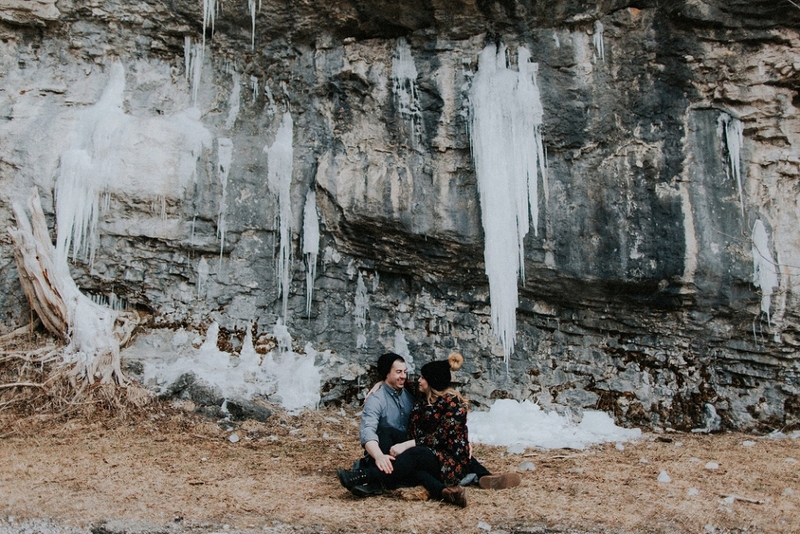 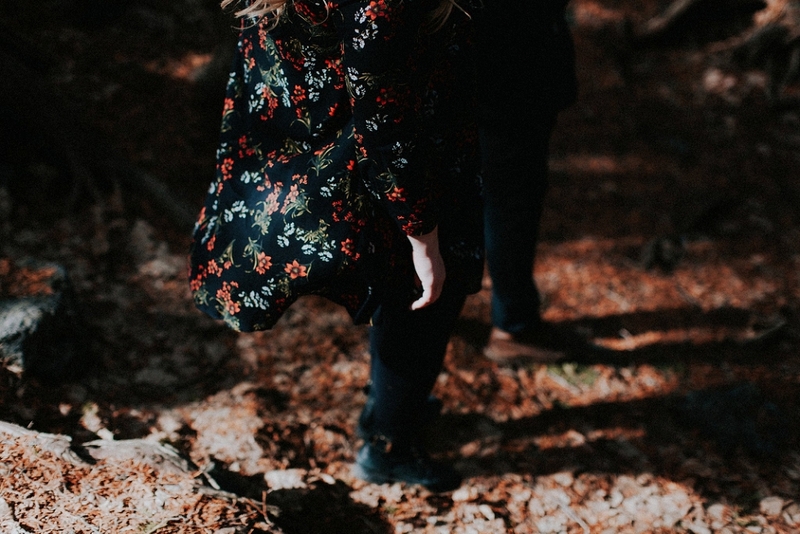 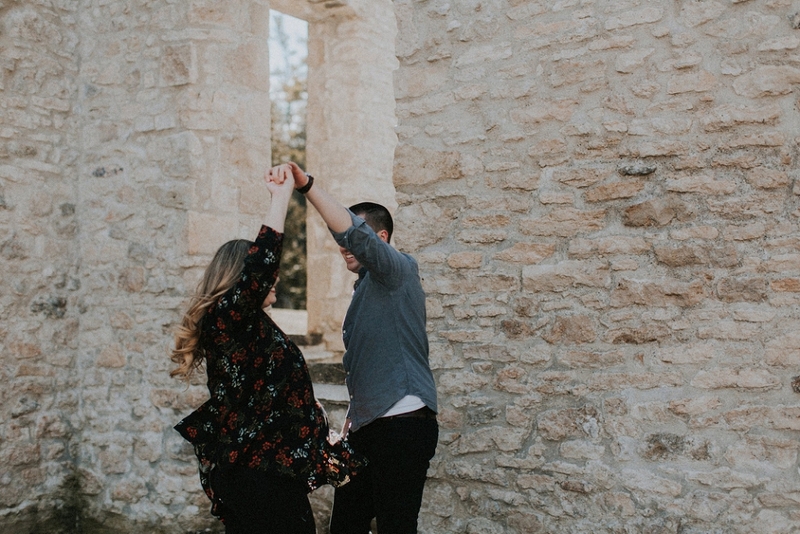 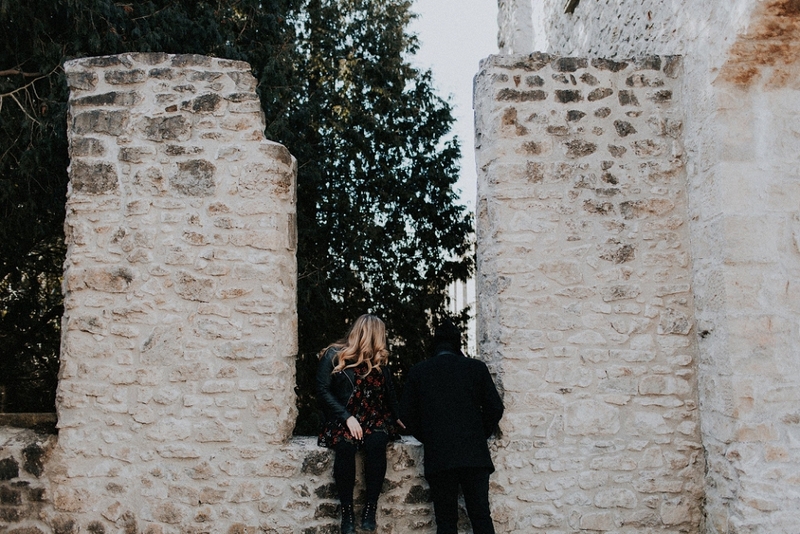 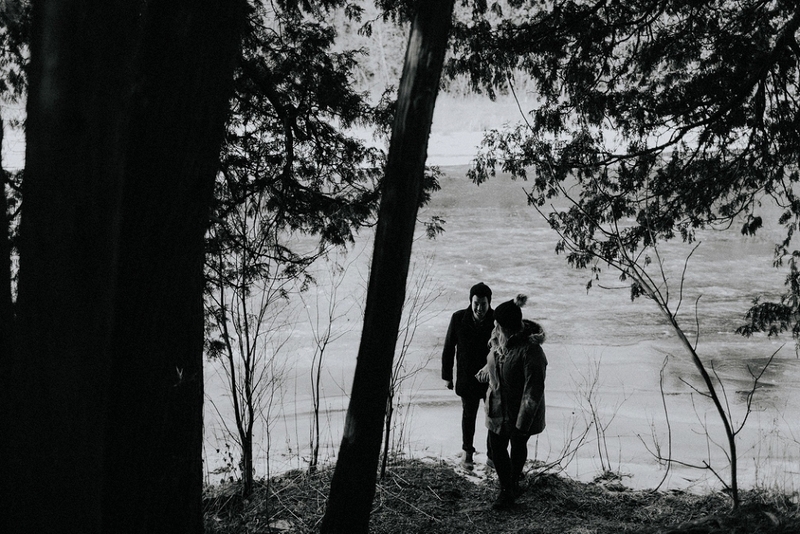 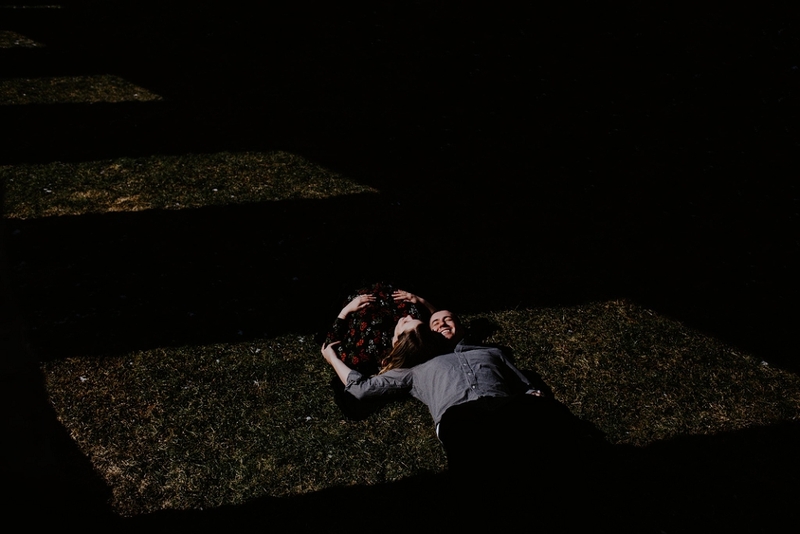 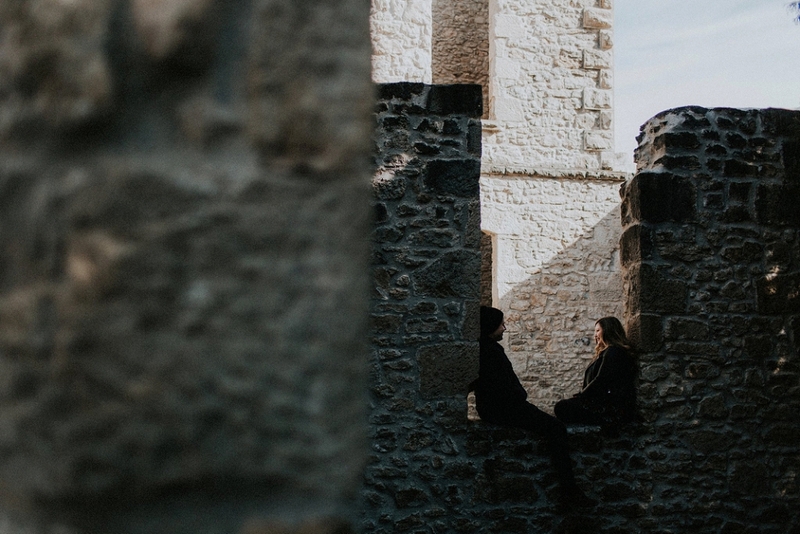 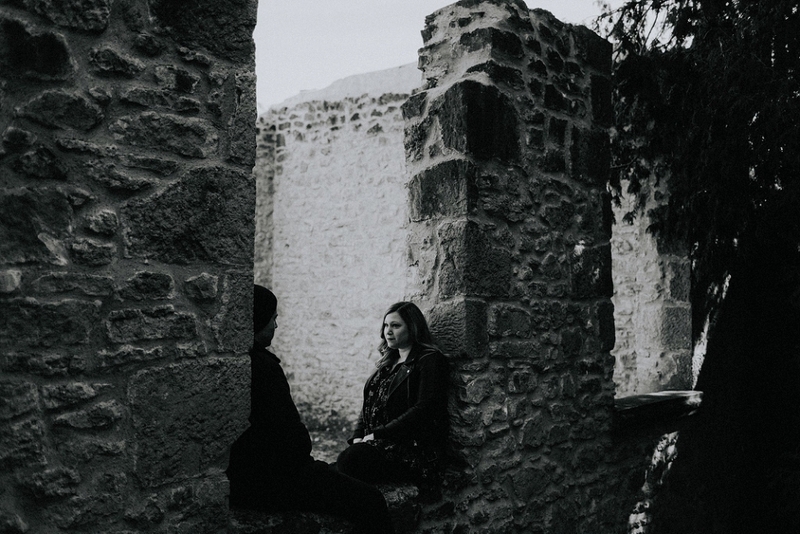 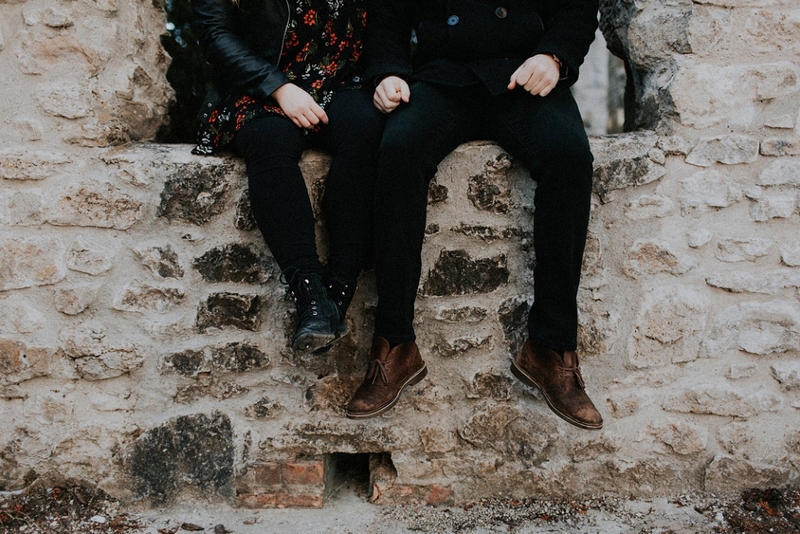 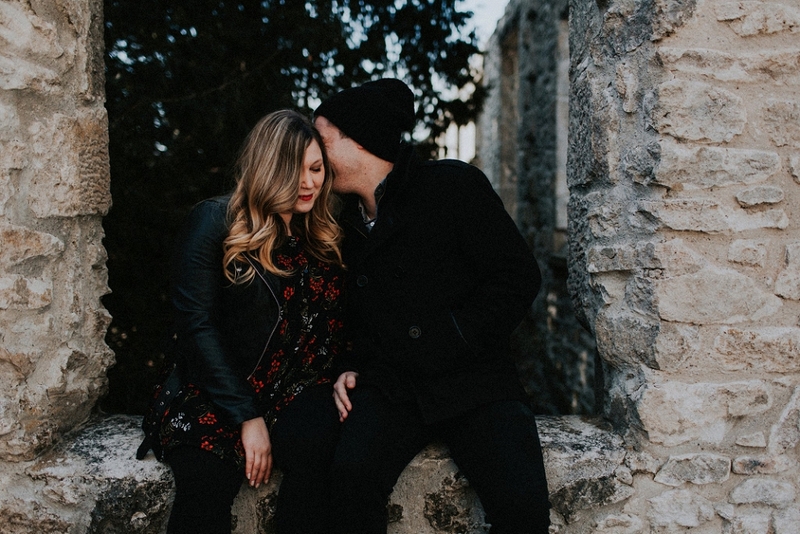 This is the reason that we love to shoot engagement sessions; it’s so much more about hanging out and making connections, and the photos we get out of it are a fun bonus to the adventures we have (although, tbh, the photos themselves are pretty wonderful benefit, if I do say so myself). 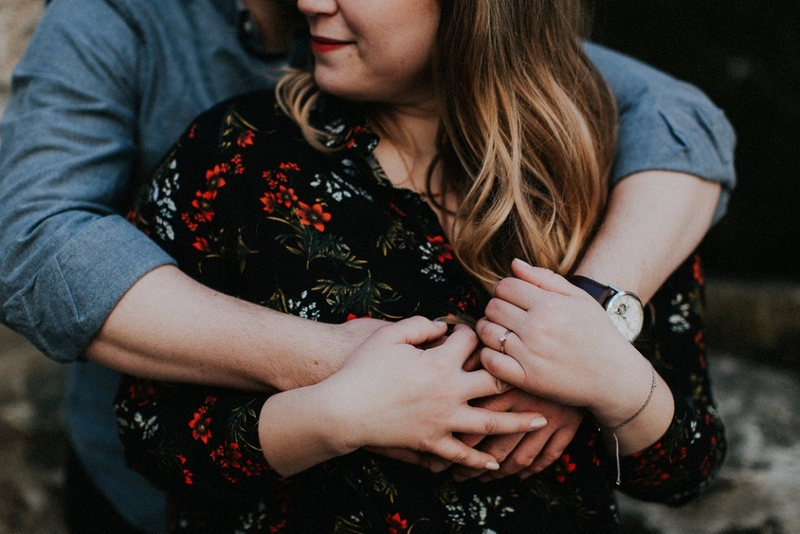 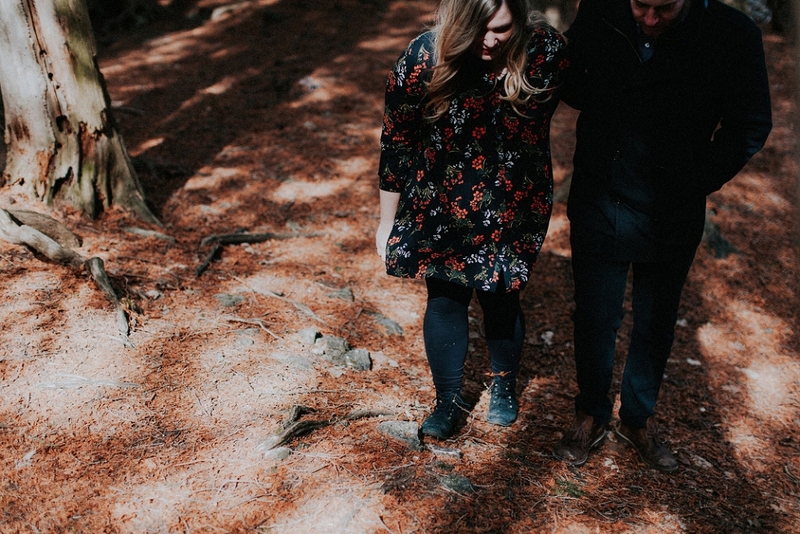 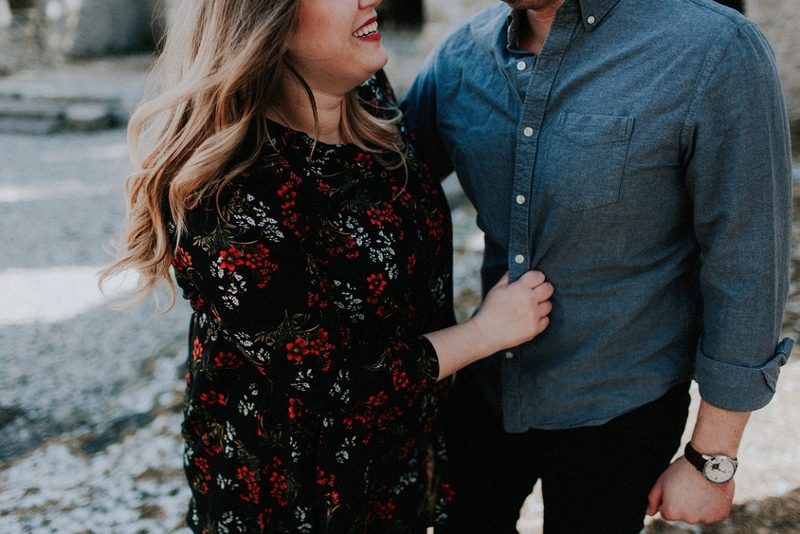 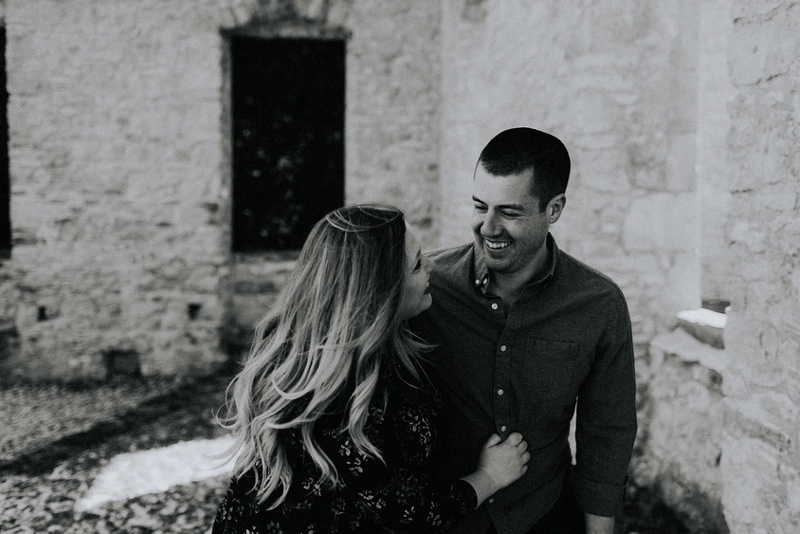 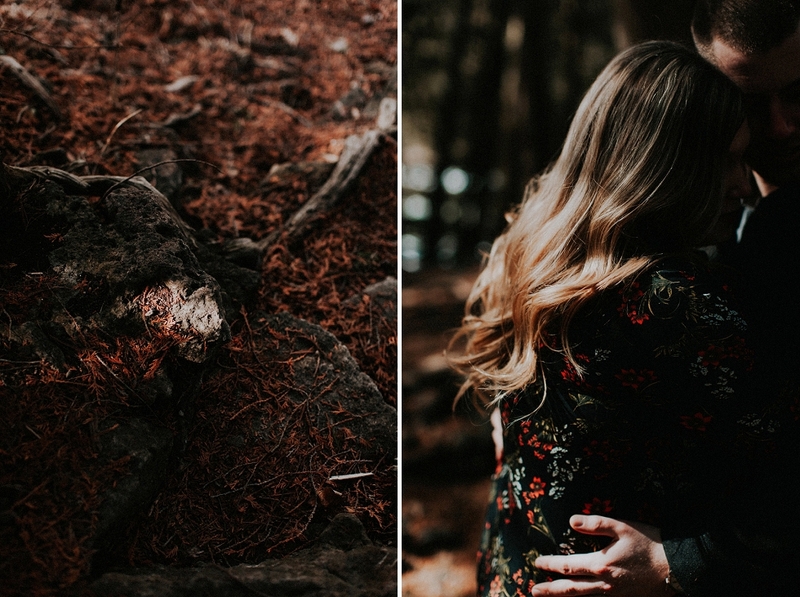 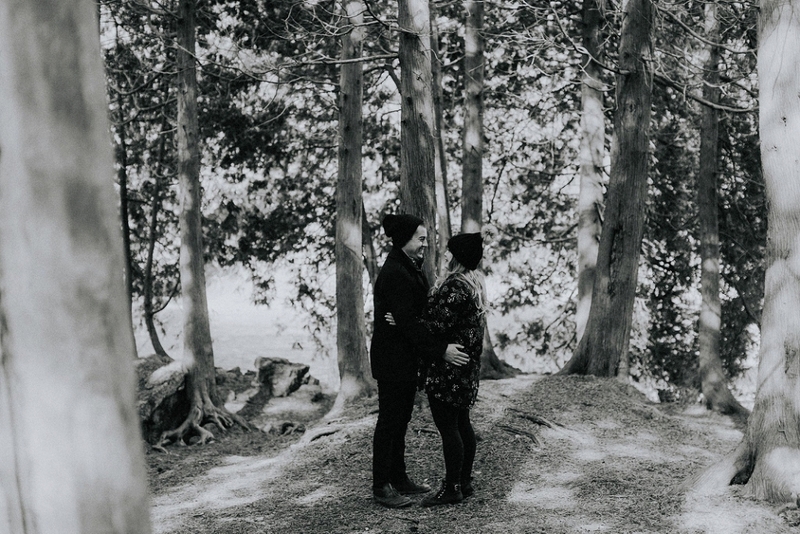 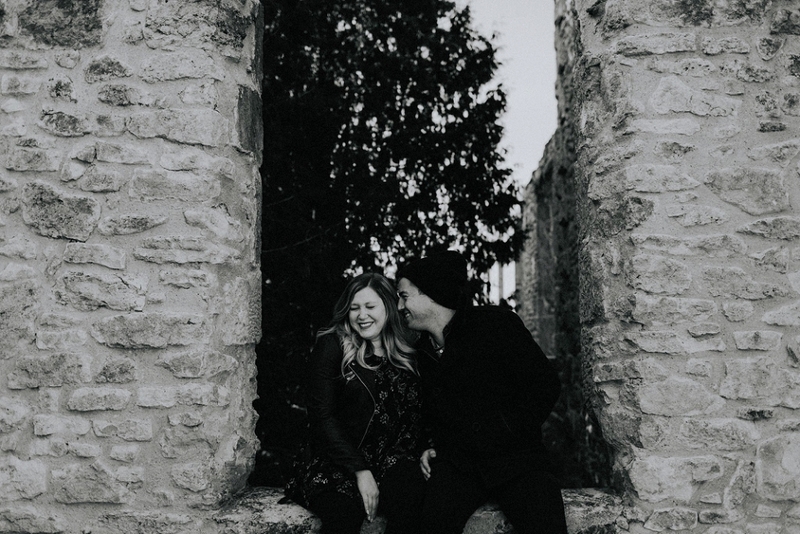 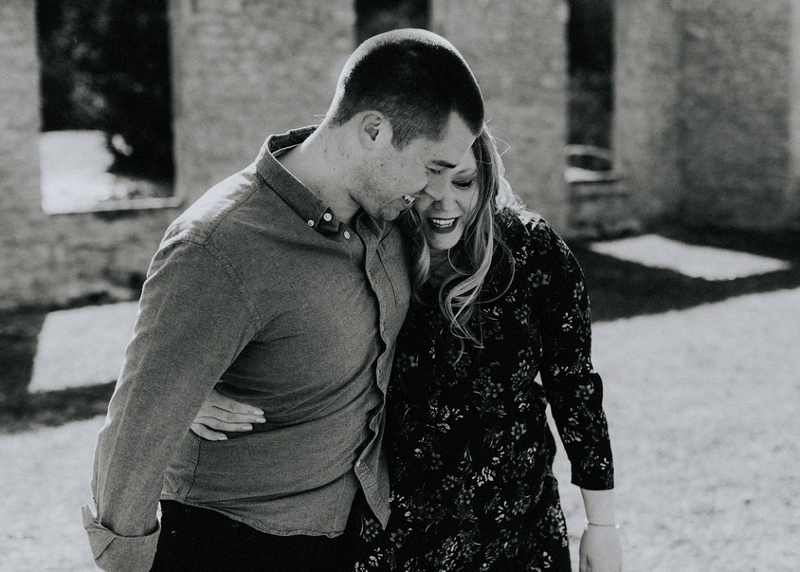 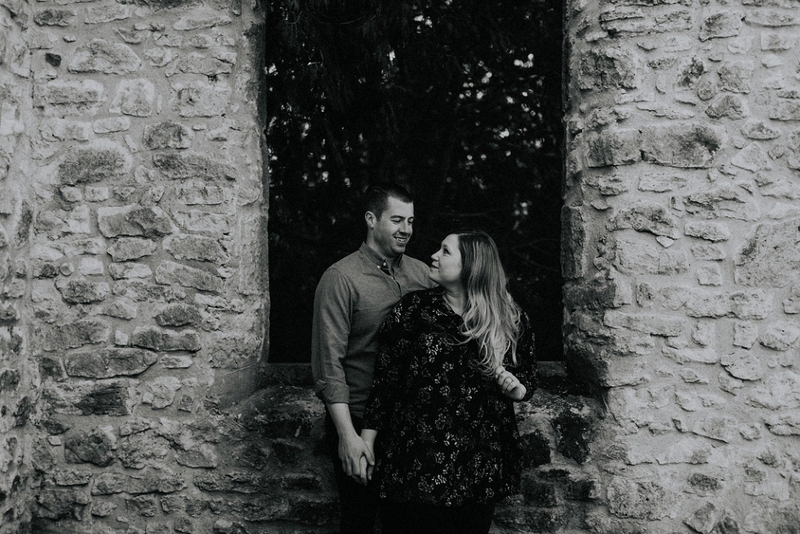 These two haven’t had the easiest road so far in planning their September wedding (which was previously an August wedding), but I can confidently say we can hardly wait to be a part of it.